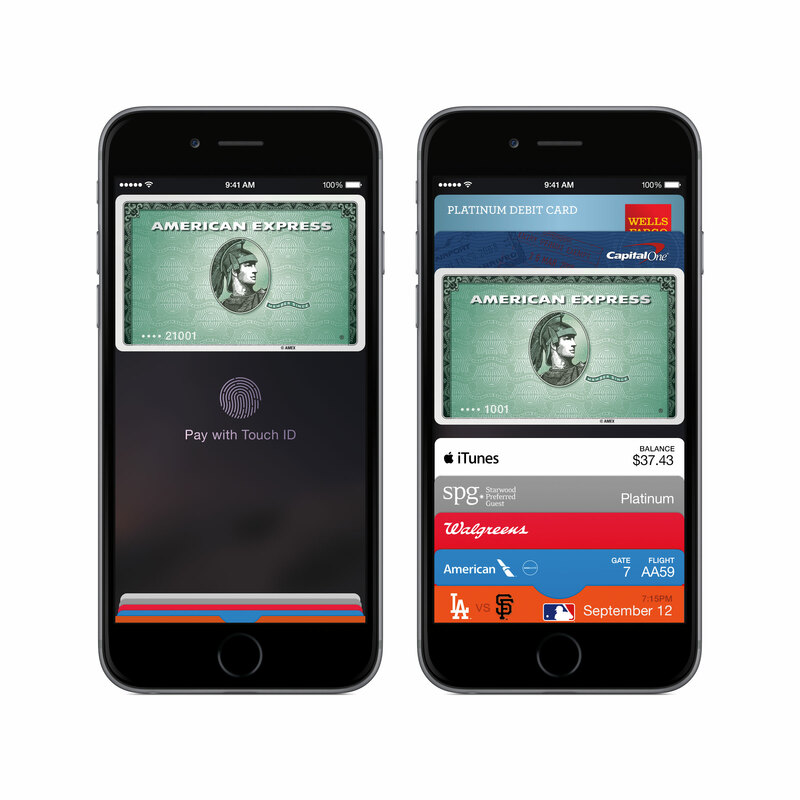 Now that iOS 8.1 is available, it’s time to spend more money using Apple Pay. After updating my iPhone 6 software, I went into Passbook to set up Apple Pay, just as I did with Google Wallet back in 2011. While the overall setup is similar, the Apple Pay process is slight bit faster, mainly because of Apple’s relationships with banks and credit card issuers. I set up two cards in [company]Apple[/company] Pay and the first was certainly the easiest. That’s because Apple Pay asks if you want add the credit card Apple has on file for iTunes purchases. I said yes to this option and the app asked for my American Express card security code. Apple has all the other information so there’s no need to enter it; the security code is simply for verification. After entering it, Apple Pay quickly said the card was ready to use. 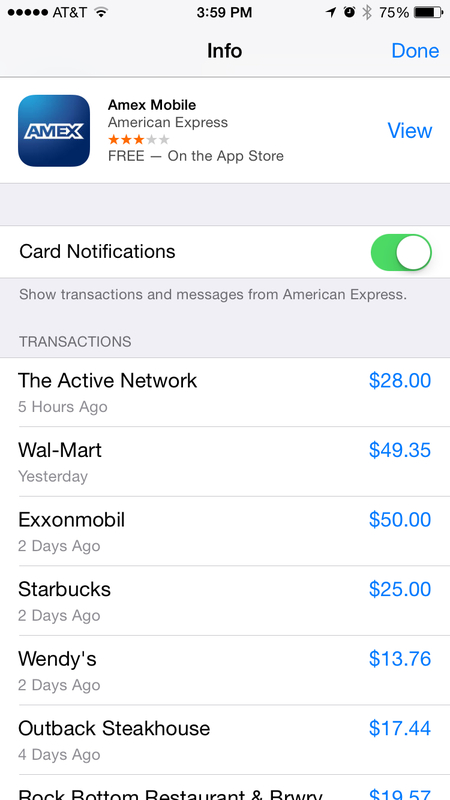 Tapping the information button under the card shows me a list of recent AMEX transactions as well as link to open or install the AMEX app for iOS. Next I decided to add my Master Card to Apple Pay, mainly because not every retail location takes my preferred AMEX card. 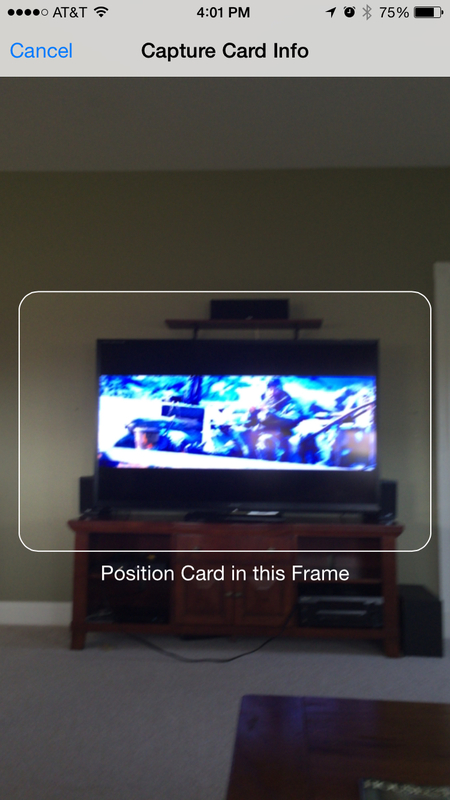 Apple doesn’t have this card on file, so I had to enter it in from scratch. 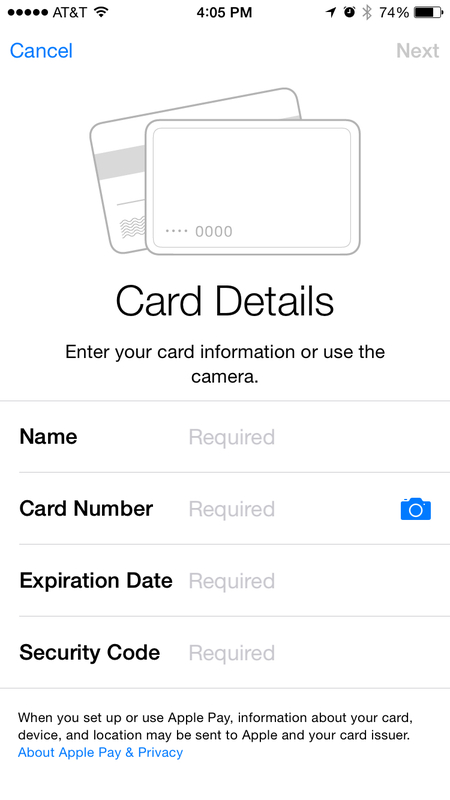 Apple Pay’s ability to read the card number from an in-app photo makes it even easier. Here’s what it looks like; I captured a pic of my television for demonstration and privacy purposes. It’s simple to use: Just line your card up in the specified area. You don’t even have to snap a shutter button. My card number was correctly added to Apple Pay using this method. I manually typed my name, card expiration date and security code. It took about 60 seconds after that but the card was approved for use with Apple Pay. I didn’t have to interact with my banks, American Express or Master Card for any of this. 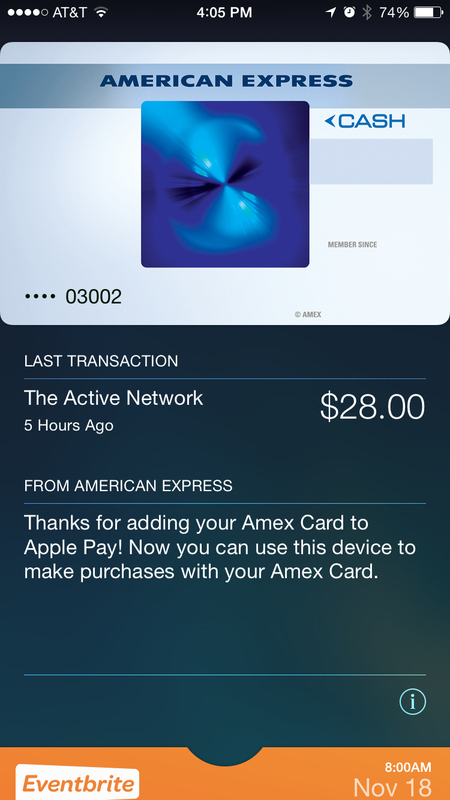 There’s no such interaction with Apple Pay: You do everything through Apple and its app. That’s a key difference from how Google Wallet setup used to work: Back then when I added cards, I had to wait for approval messages from my banks; adding another party to the transaction. I added two new cards to Google Wallet today and I didn’t have to wait for approvals like I used to. However, Wallet did require me to retype my name, address and other information for both cards. How well does Apple Pay work for payments? Based on the demonstrations Apple provided last month — and because I’ve made similar transactions with Google Wallet over the past three years — I expected they’re work just as easily, both online and in retail stores. Several iOS retail apps — Target, Staples and Apple’s own Store — are already updated to support Apple Pay so I’ll have to make a purchase. That $2,500 iMac with 5k retina display might be a great first buy but I think my wife would take my credit cards away, not to mention my iPhone 6 too. One last note: I did get an email from AMEX after card setup but that was strictly informational. It also explained that if asked for the last digits of my credit card when using Apple Pay, I should provide the numbers from the device account number and not the card number. This is part of the Apple Pay implementation so that neither Apple nor the merchant have your credit card number. How is it that the US cellular firms did all they could to block Google Wallet and other non cellular company NFC payment options for 3+ years but now as soon as Apple comes out with Apple Pay boom it is available from all the US cellular companies at the time of launch of the iPhone6 platform. Guess Apple has ATT, Verizon, Sprint and others over the barrel with the locked multi-billion dollar a year sales quotas for Apple iOS products. ATT owes Apple over $14 billion a year in sales, Verizon over $20 billion and Sprint over $7 billion a year and if these companies don’t make their quotas they owe Apple the cash. Not all Master Cards and not all Visa cards are supported. No where does Apple mention this. They make it seem like all cards issued by the named banks, like Chase, are supported but that is not true. Apple has taken over NFC payments with Apple Pay. With a $500 terminal any business can accept Apple Pay (what we use to call NFC). I can buy a .65 cent candy bar at almost any vending machine with my iPhone since they are equipped with these $500 terminals. Want to accept Apple Pay, just google the terminals, plug them into your existing payment system and that’s it. No contracts with Apple, no money laundering discoursers that Google must abide, just plain simple payments. FYI, there’s a verfiication step involved with some credit cards. I needed to call Bank of America (Apple Pay line) in order to verify/confirm my credit card, before it was available for use on Apple Pay. So your comment that there’s no interaction with banks is false (might have been true in your case). Ah, good to know. So it’s not as “seamless” for everyone then and will depend on the bank. Interesting that Apple couldn’t get all of them on board with the same process. Thanks! It’s a novelty type start, and while Apple is putting some fresh lipstick on it, its still a Pig. You mean Grocery Stores …. like Whole Foods which is using Apple Pay?! So, do you want to stop being lazy and see how Google Wallet works now instead of comparing it to 2011 or naw? I added the same 2 cards to Google Wallet before publishing the article. The two work similarly in this regard but it’s a little more seamless with Apple Pay. Google Wallet didn’t offer to add the card I have on file with the Google Play Store, for example. And for both cards, I had to re-enter my full address; not so on Apple Pay.